Skylar doesn't believe in things that go bump in the night. But after her uncle's body is discovered with a mosaic of eerie symbols carved into his chest, she moves to his spooky California estate to get logical answers. Days after arriving, she's plagued by haunting nightmares and visits by a terrifying apparition that even she can't rationally explain away. 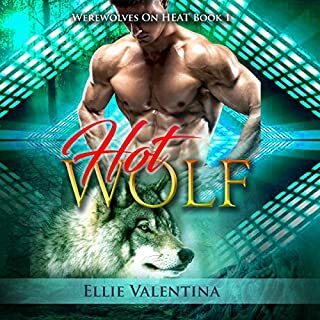 Things get even more complicated when Skylar's investigation leads her straight into the arms of the drop-dead gorgeous, Dorian Delacroix. 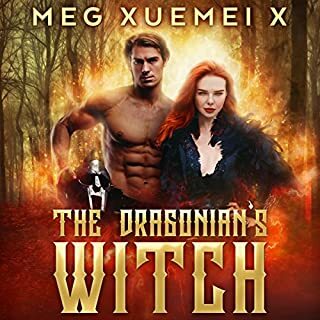 With his dark good looks and brooding personality, Dorian is like a romance novel hero come to life, but he's also harboring a dark and dangerous secret. Before she knows it, Skylar ends up at the creepy haunted mansion left to her by her paranormal hunting uncle. There she meets the hunky Dorian Delacroix and everything goes to hell in a hand-basket. She tries to be a strong skeptic, but in her efforts to not be like her family, and not to fall in love with Dorian, she tends to miss stuff. 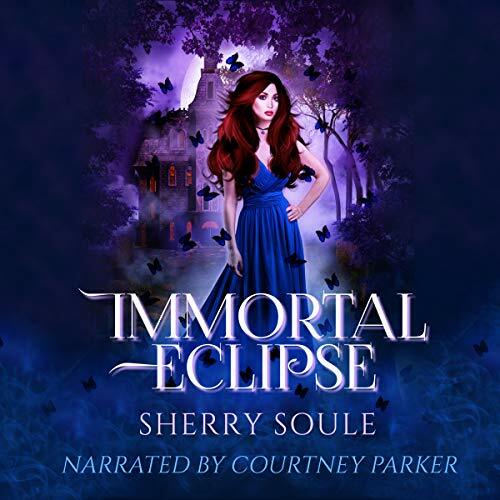 Would you recommend Immortal Eclipse to your friends? Why or why not? The narration was ok. The book sounded as if it was from the perspective of a self obsessed 19 year old and the narrator did a good job of portraying that. This book was twice the length it should have been. It could have been a very good book if Skylar was not turning it into one long infomercial on fashion. I had to force myself to finish this book. I received this audiobook for free for an honest review. I love romances and I love paranormal stories. I thought this sounded like a perfect combination of the two. Unfortunately for me, the story fell flat. Skyler was absolutely obsessed with cloths. I get that her occupation was a fashion photographer, but I did not need to know what brand of shirt, pant and shoe she was wearing every time she did an outfit change. At one point she is even obsessing about the brand of belt that someone else is wearing. For me, that completely distracted from the story. If it wasn't for the cloths obsession, the basic story was good. I felt it had potential. I will say I really enjoyed the narrator. She was expressive with the books and I appreciated that. Who wouldn't want a haunted house? What do you get when you combine black magic and science, a very interesting story! Skylar is a very interesting character, at times her obsession with fashion is so huge that it creates some very odd reactions. It makes for some very funny moments throughout the book. The story line is well planned and has a few twists I didn't see coming. I thought it was a mix of creative and stereotypical haunted house and that the combination worked well. The narration was well done, the only thing I noticed is that it was hard to tell when Skylar was thinking and when she was talking. Otherwise the character voices were well done and the delivery was enjoyable. Skylar, shoe and clothes obsessed, inherits a big spooky mansion with a big hunky overseer. 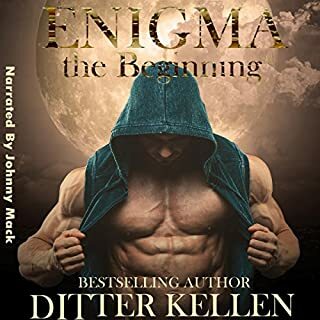 The story is slow to start and there are times when I want to smack Skylar for being so dumb, but the story does pick up with twists and turns and of course bumps in the night. The story does get quite spooky at times and there is a lot of mystery involving the mansion. I think Courtney Parker's voice matched what I pictured Skylar sounding like in my head. "I was given this free review copy audiobook at my request and have voluntarily left this review with my honest opinion." This was a very unique book with a pretty scary undertone and lots of mystery. The story was different than any paranormal romance I have read so far. I would say this is more of a paranormal scary mystery with a touch of romance. There is just enough intrigue and romance to keep me interested and wanting to get to the bottom of everything going on in this spooky mansion. The heroine is a bit slow to understand that weird things have been happening all around her. Even before she leaves to go take care of her uncle's affairs, some really weird things are going on at work and a her place. The story develops at a good pace although it will be awhile before it all makes any sense. I'd never have stayed as long as she did. As soon as I started seeing strange things, I'd have been out of there as fast as humanly possible! Things come together nicely towards the conclusion. The author pulls everything together and explains all the odd occurrences and unfortunate deaths. It does conclude with a HEA for Skylar & Dorian. Good listen with some romance, a haunting and a lot of mystery. Narrator did a good job with the this story. I received a free copy of this book from the publisher and/or author and/or narrator in exchange for an honest review. Such an enjoyable and lovable read that was interesting and suspenseful - I had a great time listening to this story. It was a magnificent story with wonderful and interesting characters. The narrator has done an excellent job of bringing the emotion and voices of these characters to life - well done! Not terrible but nothing wonderful either. A little too much focus on clothing, shoes and fashion that doesn’t add anything to the story.